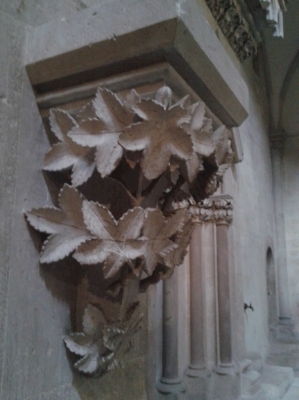 The Naumburg Cathedral contains artistic masterpieces of a medieval sculptor and his workshop, known as ‘the Naumburg Master’. It is a 13th century romanesque former Cathedral (now a Protestant church). 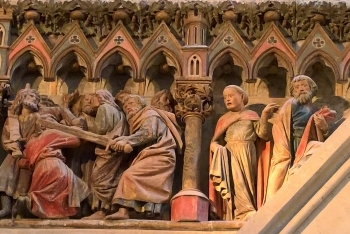 Its gothic west choir holds a rood screen and the famous donor portrait statues of the twelve cathedral founders, all created by the Naumburg Master. 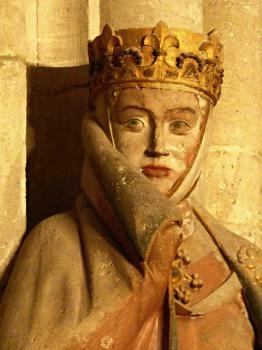 The Naumburg sculptures also have preserved their polychromy in singular condition. 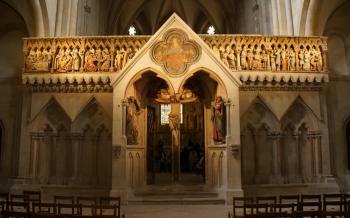 The Cathedral has a double choir structure where both original rood screens have survived since 1300.